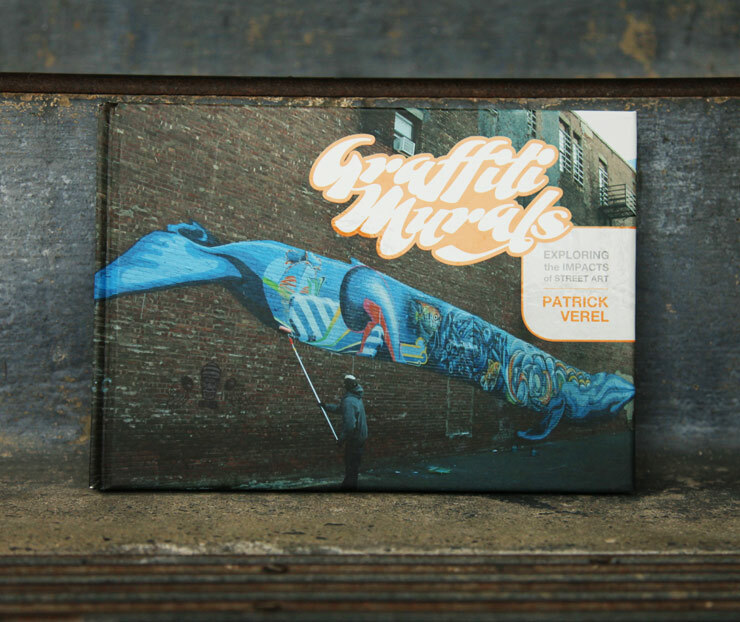 You ever look at Graffiti Art magazine from Paris? It has really turned into such a great quarterly and this new issue number 20 has MOMO on the cover! 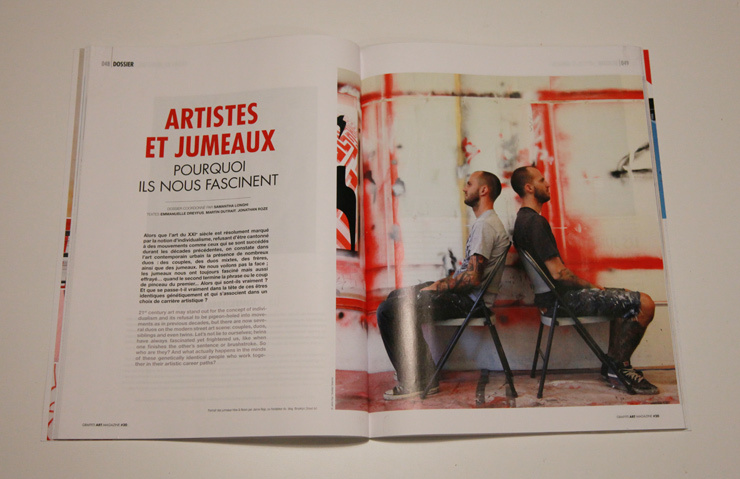 Also finally an article about the fascinating occurrence of a number of twin duos who work in the Street Art scene today. 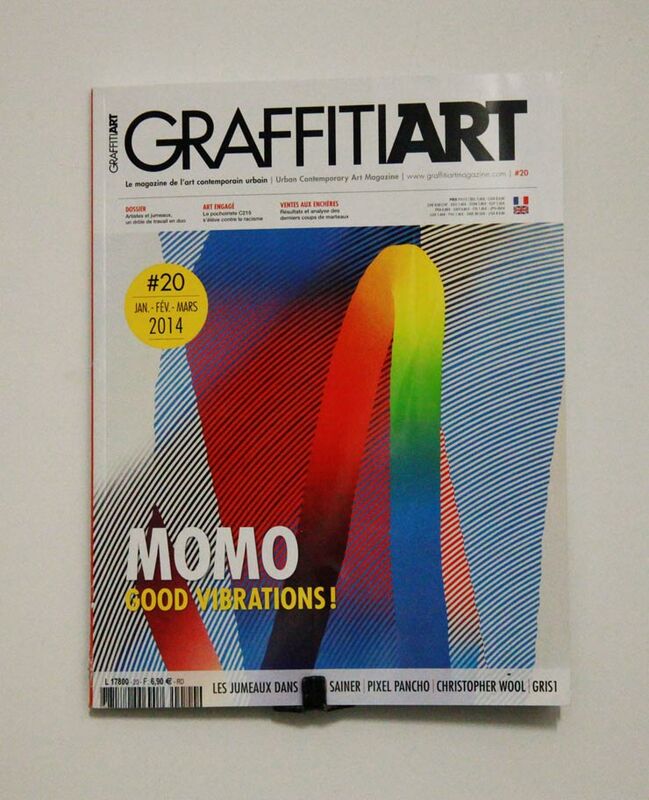 Graffiti Art Magazine Cover with MOMO. Profiled are Os Gemeos, How & Nosm, Skewville, Sobekcis, and even Miss Van, who reveals that she is one half of a twin set. Because the magazine has such impeccable taste, it also features portraits of Skewville and How& Nosm by our own editor of photography Jaime Rojo. Check it out! Graffiti Art Magazine #20. How & Nosm portrait taken by Jaime Rojo at their studio.